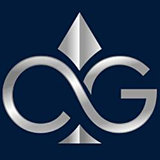 The Calendar Group is a full-service domestic staffing and corporate staffing firm. We provide a personalized approach to staffing for high net worth families, individuals, and their companies. We serve clients primarily in Greenwich, Connecticut (CT), the Hamptons, New Jersey (NJ), New York City, NY, Westchester County, NY, the Tri-State Area, the greater NYC Metro Area and the Philadelphia Metropolitan Area. We rose to the challenge and in doing so have managed to exceed our client expectations. The consulting side of our business, as well as our rapidly expanding corporate staffing services, is case in point. We realized that the industry wasn’t about staffing – but rather, about the creation and management of relationships on both the client's and candidate's side for the long term. Instead of using a database filled with generic backgrounds, The Calendar Group chooses to listen to their client’s needs: what they like and don’t, what has and hasn’t worked, and how they live their lives presently and aspirationally. Every client is different. We go out and find the right match – each and every time. We believe that for every need – no matter how seemingly specialized or complex – there is a perfect fit.